For over 95 years, CERATIZIT has been a pioneer developing exceptional hard material products for cutting tools and wear protection. The privately owned company, headquartered in Mamer, Luxembourg, develops and manufactures highly specialized tungsten carbide cutting tools, inserts, rods and wear parts. The CERATIZIT group is the market leader in several wear part application areas and develops successful new types of hard metal, cermet and ceramic grades used for instance in the wood and stone working industry. With over 6,000 employees at 27 production sites and a sales network of over 60 branch offices, CERATIZIT is a global player in the hard metal industry. The leader in material technology is continuously investing in research and development and holds over 600 patents. 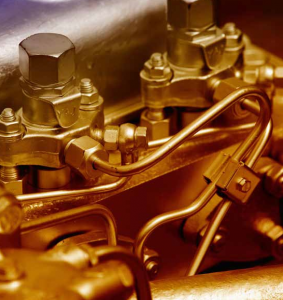 Innovative hard metal solutions from CERATIZIT are used in machine and tool manufacturing and many other applications including automotive, aerospace and medical. The internationally recognized CERATIZIT group unites the four competence brands Cutting Solutions by CERATIZIT, Hard Material Solutions by CERATIZIT, Tool Solutions by CERATIZIT and Toolmaker Solutions by CERATIZIT. The hard metal expert also includes the subsidiaries WNT, Günther Wirth and CB-CERATIZIT as well as the tool manufacturers PROMAX Tools, Klenk, Cobra Carbide India, Becker Diamantwerkzeuge and Best Carbide Cutting Tools. Our solutions fulfil all expectations in relation to tools and active parts in particular. They are sophisticated and powerful thanks to our specifically for the tool and die industry developed high-quality CF carbide grades that are extremely resistant to both wear and corrosion. The prerequisite for this is permanently homogeneous carbide structure which guarantees long tool life and process stability. In order to achieve the best possible result, we also provide you with an outstanding service package: advice concerning grade characteristics and selection, optimisation of machining processes and customer-specific seminars. 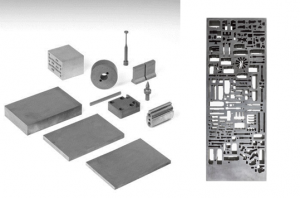 Whether stamping, bending or blanking, metal forming, powder pressing or fine cutting – with our active parts made of carbide you achieve high output rates, mass-produced parts are manufactured economically. and injection nozzles and used as valve pistons, piston seats, valve needles, coupling components, ball seats and gear elements in high-tech engines. Whether for producing diesel cars and utility vehicles or large diesel motor systems used in trains or marine vessels: with our carbide or ceramic featuring excellent dimensional accuracy, we offer premium components that stand out with maximum precision, best compressive strength, maximum durability, high rigidity and leakage properties. We also offer coated products (PVD, CVD, DLC) to improve wear resistance in friction combinations, resulting in longer service life as well as corrosion-resistant grades that have been specifically designed for applications with contact with corrosive materials like fuels, additives and acid solutions. All products are designed based on customer specifications. 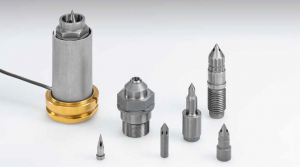 We offer carbide solutions for different applications and process stages in the plastics industry, e. g. nozzle tips, valve needles and ready-to-use-asseblies for hot runner systems, mould cores for the production of moulded parts with void spaces, cutting rotor blades for granulation technology as well as carbide-armoured screw tips for injection-moulding machines. Therefore, we use carbide grades that are extremely wear resistant, corrosion and temperature resistant up until 400° working temperature and heat conducting, resulting in maximal tool life, high productivity and a homogenous and stable process. Thanks to our resources in the CERATIZIT and Plansee Group, we are able to highly customize all products by using other materials than cemented carbide such as ceramic or titanium-zirconium-molybdenum if needed.